Take your classroom to a new level of learning with 10 ready-to-use lesson packages and a variety of tactile teaching tools. 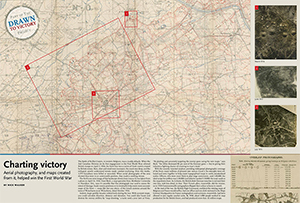 The Drawn to Victory giant floor map is an innovative approach to teaching Canadian students about the First World War. Measuring 11 metres by 8 metres, it highlights the extent of the Western Front, the locations of major battles and comes with 10 curriculum-linked learning activities about Canadian pilots and topographic surveyors. 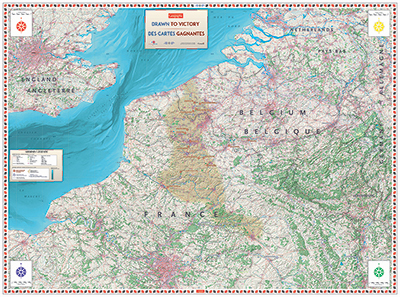 Download the eight-page tiled map and the helpful guide to help students learn about the First World War from a geographic perspective. Need a fun and engaging way to teach your students about cartography and topography? 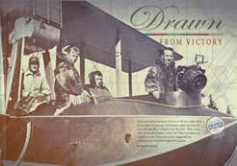 The Canadian Geographic Education team has created a curriculum-linked learning activity to accompany Canadian writer Brian Banks’s article, Drawn From Victory. The learning activities explore topics such as Canada’s ‘air force’ throughout the First World War, different types of mapping technology and how Canada’s air capabilities after the War were changed forever.